In our library, we have a pet goldfish, and he’s probably the most popular thing in that building. Our children visitors adore him! I think having pets can be such an enriching and brilliant thing for children, and adults too. My latest book recommendation for you shows exactly this, but also teaches some other valuable lessons. 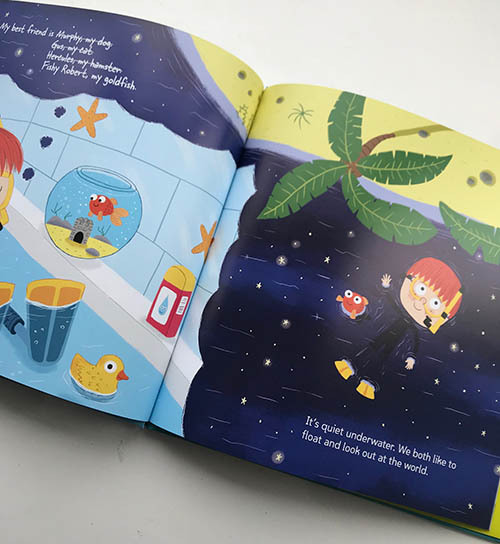 This is My Best Friend is a Goldfish written by Mark Lee, illustrated by Chris Jevons and published by Carolrhoda Books. This picture book follows a young boy’s story of friendship. He falls out with his best friend while playing one day and so goes in search of someone to fill her place. 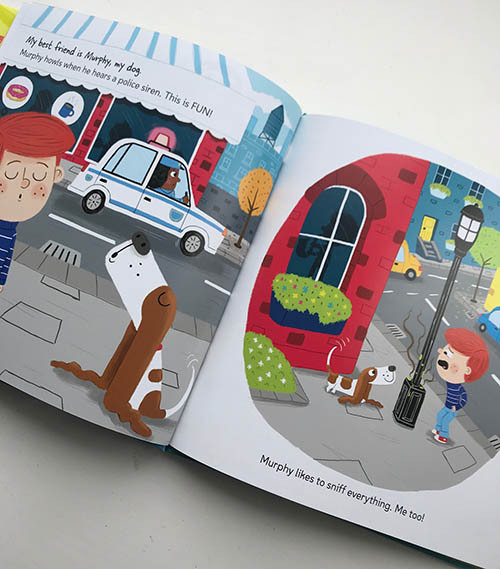 Through these brightly illustrated pages, we are introduced to the boy’s various pets, what he loves he about them and why they are different and can’t be best friends. By the end of the story the boy comes to the realisation that actually differences between us are what makes friendship interesting, and you can still be perfectly matched even if you aren’t the same or don’t like the same things. Mark Lee has written a really sweet tale here, which gets across an important lesson about embracing each other’s differences and recognising that we don’t always have to agree or like the same things to get along. For young children who are often trying to establish and maintain relationships, understand each other, this is so crucial and a step in the direction of learning to empathise and understand other children’s thoughts and feelings. The writing is simple and clear, but I also love that it has an element of humour in it, so the story isn’t all serious lesson learning, but actually just great fun to read! Chris Jevons is an illustrator I have long admired for his ability to inject character and personality into his work, and his gorgeous use of colour. Chris’s illustrations here are no exception. Facial expressions on the children are all really clearly represented which is important when opening discussion with children about feelings and teaching empathy. It’s clear to see when the little boy and/or his friend is happy, sad angry or relaxed. Each of the pets has bags of personality, even the little goldfish. 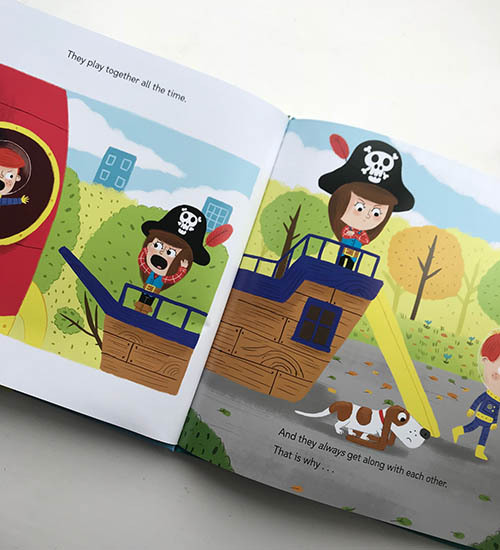 What I love most about this book though, are the big, bold and bright illustrations which pop from the page, engage young children and make this a brilliant book to read to groups of children as well as on a one to one basis. There’s so much to chat about within the pages that children can be engaged and a part of the story. My Best Friend is a Goldfish is an unexpected delight. On the surface it looks likes an entertaining and fun read, but it has real depth and importance to it, and best of all, while getting this message across it will make you smile, and that’s really all we can ask for! 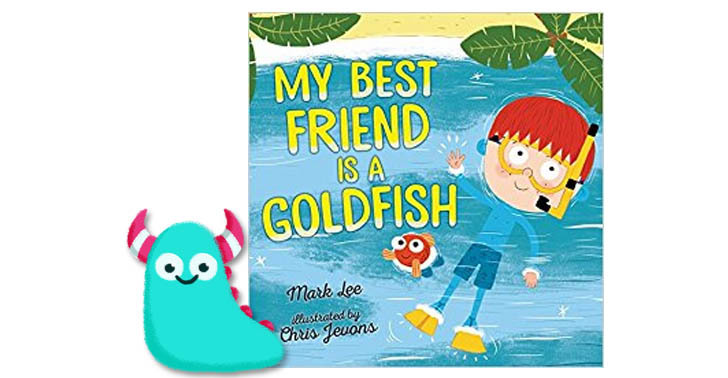 From a Book Monster who’s library best friend is a goldfish, I love this colourful and fun story of the real meaning of friendship. My Best Friend is a Goldfish is published on April 1st, 2018 and will be available from all good bookshops and libraries. Thank you for reading this friendly Book Monster review.